This is a standing elephant figurine in shades of brown. 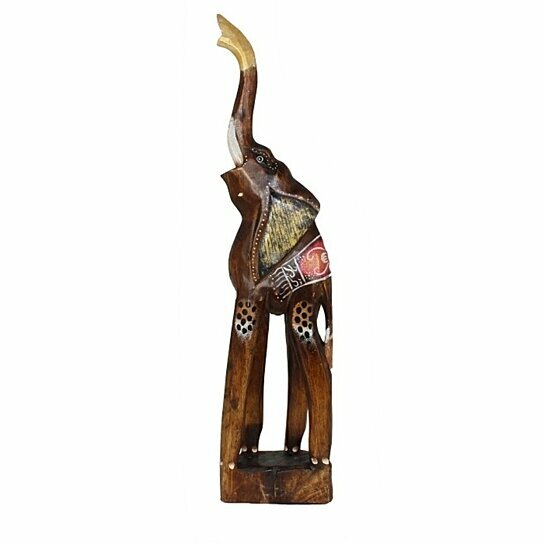 This elephant is crafted from quality wood and is painted in attractive color. This elephant figurine is a classic piece, which will add an ethnic element to your home decor. Stylish looking this elephant decorative can be placed on any side table, accent table, console table, or display shelf; it will for sure enhance the setting of the place. It is attractive and can be a part of home and office interior too. Fits perfect in any interior. This elephant figurine is easy to clean and maintain.